With wedding plans in full force, I have done very little reading. I'm still reading the same book from last week, Made With Love. I feel terrible I haven't read more. Noah had stepped in and tried to be a good influence on his nephew. The thing was, it was hard trying to save someone who didn't want to be saved. 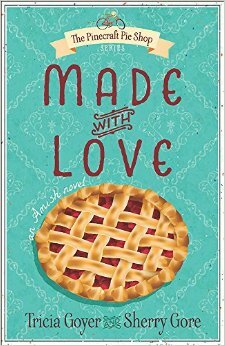 For a second week, the #Friday56 comes from Made With Love by Tricia Goyer and Sherry Gore. That book cover makes me hungry! Congratulations. I didn't know you were getting married. I hope all your plans go smoothly. Your wedding has got to be your first priority! Thanks for taking time out to host The Friday 56. Congrats on your wedding! I can imagine you're too busy preparing to have much time for reading. That quote has so much truth to it but some people take a long time to learn it. Congrats, Freda! Have fun with the wedding prep; special times! Sometimes life gets hectic and a wedding is a huge undertaking to prepare for. Have fun! MMM Looks good enough to eat. :-) Have a great weekend. Interesting 56, Made with Love sounds like it could have difficult moments to read. If you've got a wedding going on it's amazing that you've been able to read at all! This does sound like a good one and this is the 2nd week I suddenly find myself wanting pie! Great pick Freda I wanted to say Congrats on your Wedding and sadly goodbye I love participating in your meme but I would no longer be participating in it sorry it was fun at the beginning for me but please forgive me for not going into to much details about leaving because I really don't like complaining but it has been fun and you are an amazing person and I wish you the best in everything you do. 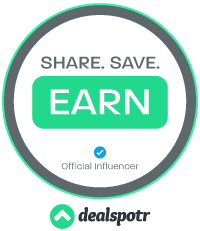 Can you please delete my link from the Linky because I try to do it but I can't find a delete button because I already deleted my post on my page. Take care and have a wonderful weekend my friend. Sorry to see you go. I wish you the very best and hope you return again someday! And thank you for the congrats!! Yes, it is hard to help someone who doesn't want to be saved. I missed this meme today. I forgot to schedule a post last night and was gone to the beach all day. I'll join in again next Friday. Linky is open all week if you want to post late. :-) If not, see you next week! I can see how wedding planning would cut into reading time! Hope all planning goes smoothly from here on out!